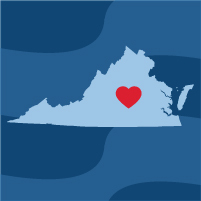 AFER is thrilled to announce that we and our incredible legal team, led by Ted Olson and David Boies, are joining a federal marriage case in the great state of Virginia. Meet the Bostic case plaintiffs. So much has changed in the 5 years since we started the American Foundation for Equal Rights. We overturned Proposition 8. We took the fight for full marriage equality all the way to the Supreme Court. And as Prop. 8 and the so-called Defense of Marriage Act fell, we stood vindicated in the fight against injustice. Along the way, we transformed the national dialogue. We broke down partisan barriers and changed the discussion from right vs. left—to right vs. wrong. We now have the support of our President, from elected leaders on both sides of the aisle, and from a solid majority of the country. Today, nearly 30% of Americans live in a state that allows any committed couple to marry. But for couples in the 37 states, not enough has changed. Gay and lesbian Americans are still denied basic freedoms, rights and protections based solely on who they love and where they live. AFER’s work continues in Virginia, home to a case over 40 years ago that broke down the last barriers for a white man to marry a black woman. As in the Loving case, our plaintiffs want nothing more than to be treated by the state like any other couple in love. Help our marriage equality challenge by making a donation today. With a special gift of $15, $25, $50 you will be supporting our legal team and plaintiffs as we make our case. We will not rest until we have achieved full federal marriage equality for every single American.